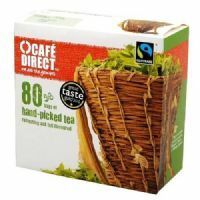 Cafe Direct believe in paying their smallholder producers a fair price for their tea. To date Cafe direct have re-invested over 50% of their profits to strengthen the livelihoods of their growers. 80 bags of hand picked Fairtrade tea.